The day Mitterrand died, the whole country had been in a state of strange and sad anticipation for several days. But I remember even better the days that followed his death. The funeral service in Notre-Dame cathedral was broadcast on TV, of course – and I must confess that I had tears in my eyes. I asked myself why his death touched me to such a point. After all, he was a politician and I wouldn’t even say that I especially liked or admired him. But the French had spent no less than 14 years with him. And in the beginning, Mitterrand really represented a new fresh, new start. There was another reason why I cried: I was witnessing a historical moment, a feeling which overwhelmed me. Everybody knew, and all over Europe: with the death of François Mitterrand an epoch was over. It was a very French moment, too. For the first time you could see the widow, the mistress and the hidden daughter of the president side by side at the coffin. 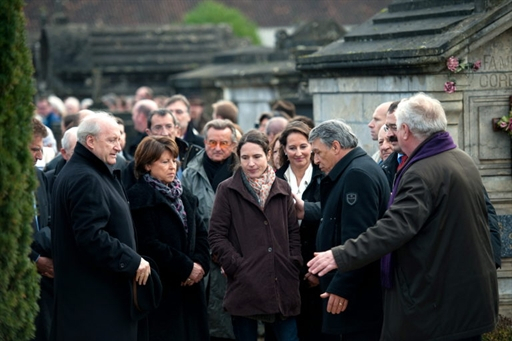 At a certain point, Danielle Mitterrand, the "official" widow, put her hand on the shoulder of Mazarine Pingeot, the daughter her husband had with Anne Pingeot, a conservator at the Musée d’Orsay who was his long-time lover. 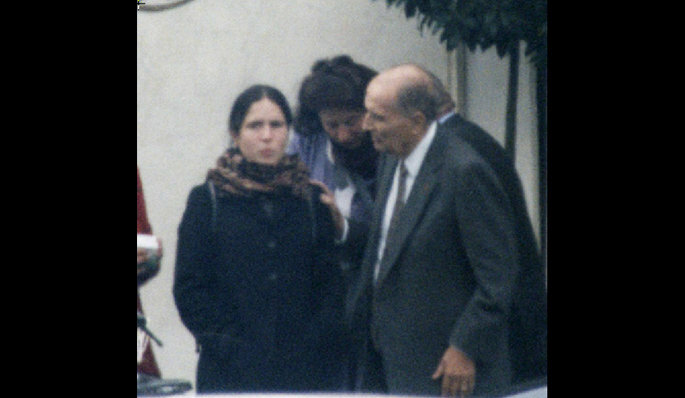 In November 1994, only one year before his death, Mitterrand had revealed the fact that he not only had an illegitimate daughter – aged 20, but that for two decades he had lived a perfect double life. It was one of the best kept secrets of France until the day the magazine Paris Match put the young Mazarine on its cover. A year later, they published photos of Mitterrand’s last trip to Egypt, where he used to spend Christmas with his second family. A few days later the former president would pass away. And Mazarine? 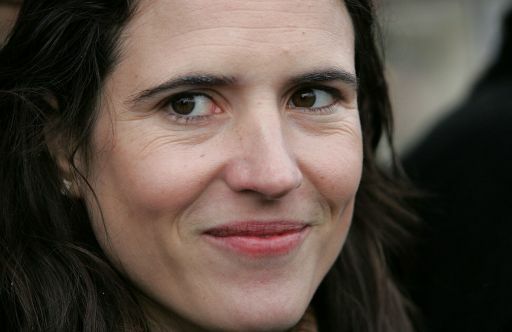 Mazarine Pingeot Mitterrand, today, is a young woman of 36. She took the name of her father only a few years ago. She has three kids, several dogs, shares her life with the filmmaker and producer Mohamed Ulad-Mohand, has already published six novels (the first one slated by the critics). She is a professor at Université de Provence and appears occasionally as literary critic on French television. When I met her, about three years ago, she was pregnant with her second child and just had published “The cemetery of dolls”, a novel inspired by a child murder that had shocked France (a mother of two who had killed several other babies, had buried some in her garden in France and had put the last one in her freezer in South Korea where her husband had discovered it). Mazarine was astonishingly fresh and open. She hadn't put on any make-up and couldn’t care less about what she was wearing. She did not fit the picture of the typical Parisian girl; I imagined a kind of revolt against the Parisian establishment. She had felt, after all, like an outsider for so long, that even now, as a renowned writer and literary journalist, she did not want to be part of what is called the tout Paris. She was talking openly about the painful aspect of her childhood: solitude. The feeling of being “cut off” from the outside world, never being able to reveal her identity. “If I got to like someone, I couldn’t tell them who I was or invite them home. In the end I just stopped wanting to have friends around.” It’s mainly in “Not a word”, a kind of diary about her childhood, that Mazarine was exorcising the demons of her hidden past. For her, writing is a way to deal with her own, complicated story. And it is probably also a way to please her deceased father.